Our goal is to provide a positive, balanced experience that focuses on the individual, preparing you to meet any challenge and live life to its fullest. From excelling in school to enjoying a healthier lifestyle to building self-esteem and self-respect, we’re dedicated to helping you develop the physical and mental strength to meet your goals, realize your potential and exceed your expectations so you can be your best all the time. Finding your comfort zone is our top priority. We make sure all of our programs are energizing and engaging. We take the time to explain the science behind martial arts so that you can practice new skills with confidence and complete safety. We provide flexible schedules to help you balance your time here with demands outside of class. And discipline and respect always share the mat with warm smiles, friendly handshakes, and positive feedback. Spotting a Silver Lining Taekwon-do instructor is easy. Just look for someone who’s enthusiastic, experienced and energized, happy to try ideas that enhance the quality of their instruction, and willing to serve as an example as well as a teacher. Someone dedicated to hard work, strong values, and making a positive difference, for our students, our school, and our community. 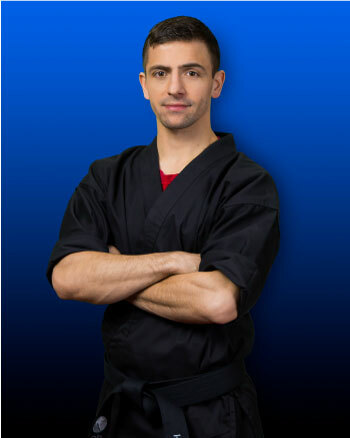 Mr. Munishi is one of the most talented martial artists and one of the most accomplished instructors in the nation. His passion for the martial arts is a very close second to his positive nature. 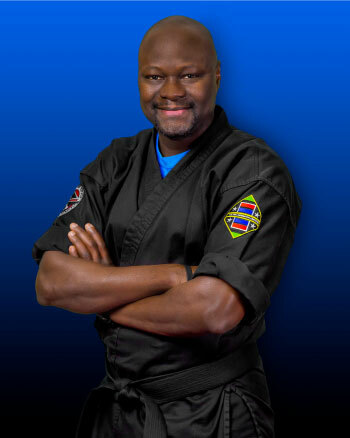 Mr. Erik Buinevicius is a 2nd Degree Black Belt and has been doing martial arts since 2004 when he was four years old. 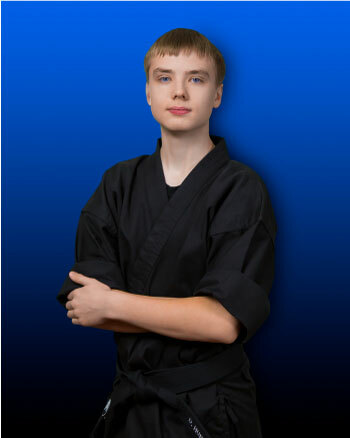 He moved schools three times before finally finding a home at Silver Lining Taekwon-do. Mr. Buinevicius trained from Gold Belt all the way to 2nd Degree Black Belt at this location and appreciated every minute of it. Mr. Alex Lyons is a 1st Degree Black Belt and has been an Assistant Instructor since November, 2016. He is a student at Madison West High School where he enjoys his math and science classes. Mr. Lyons has been studying martial arts since he was four years old. 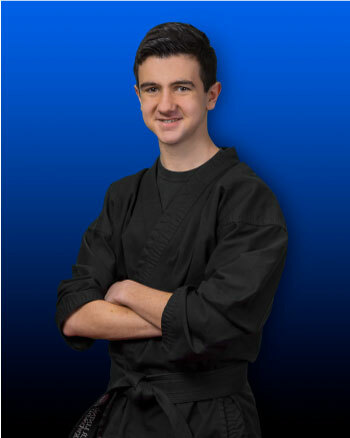 Mr. Daniel Hungness began studying karate under the instruction of Mr. Mbow and Mr. Munishi at the age of 9. A friend invited him to attend one of Mr. Mbow’s classes, and he was hooked! 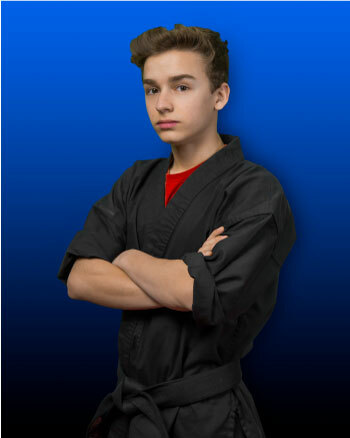 Mr. Hungness earned his 2nd Degree Black Belt in October 2014. Olivia Pax is a 2nd-degree black belt that has been doing martial arts for ten years. 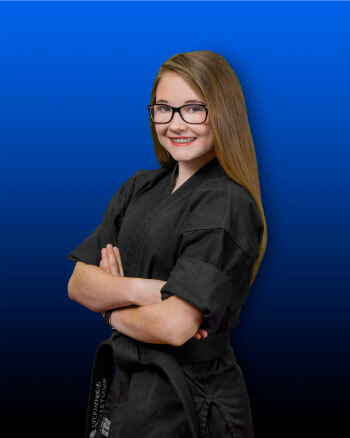 She requested to do martial arts at age 4, after quitting ballet “because it was boring.” Since starting martial arts, she has earned the opportunity to compete for the US International team at the World Martial Arts Games in Dublin, Ireland. She and three other amazing martial artists from Silver Lining Taekwon-do joined many other incredible martial artists from across the US to compete.